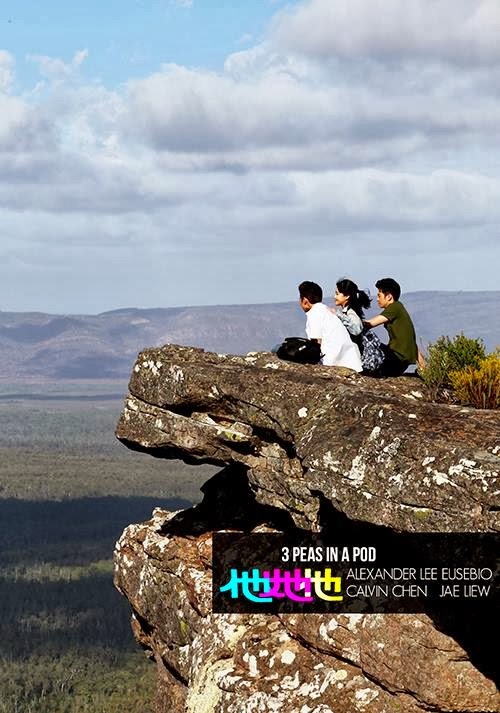 What inspired the movie '3 Peas in a Pod'? Personal experiences? Perhaps you can elaborate more the thought process from conception to script to production? I wanted to do a completely different movie genre from my first movie Already Famous. 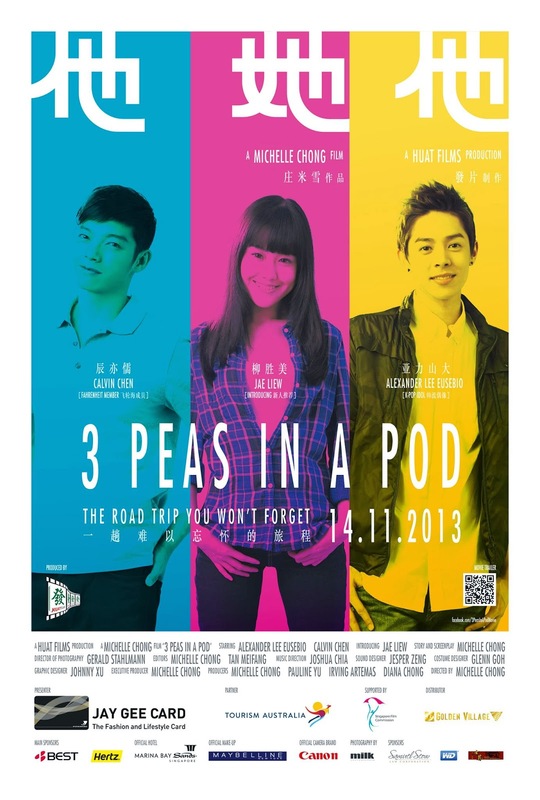 3 Peas In A Pod is essentially a movie about youth, romance and friendship. I remembered the close friendships I had with my school mates which in college in the US, and felt a tinge of regret that we had drifted apart after we moved back to our home countries, started working and having families. I wanted to capture that essence of freedom and passion in 3 Peas In A Pod before I forget what it's like to be young and fearless. While Already Famous was ten years In the making, I actually wrote the script for 3 Peas In A Pod during a short trip to Phuket in mid 2012. Once I felt ready with this script, my team moved quickly ahead with planning the movie in terms of financing, casting and pre-production. We filmed in March 2013 as it's the most conducive time to film in Australia. The movie is set to be launched in Singapore on 14 November 2013 and my team and I are intensively preparing for the marketing campaign in October and November. I am very grateful to our sponsors who have believed in me and supported us whole-heartedly, and I am very pleased to share that our movie trailer (you can watch it here:http://youtu.be/tvac_Q4k_pQ) has garnered over 200,000 views! It's an interesting cast mix (physical attributes, temperaments and nationality) Why the choice of the following 3 actors in the film? 3 Peas In A Pod is a movie about three university students from Taiwan, South Korea and Singapore. We wanted the actors to match their characters' profiles and background. Hence, we chose Calvin Chen and Alexander Lee Eusebio to play Perry from Taiwan and Peter from South Korea respectively. Not only do both actors have a huge fan following in Asia, they are also extremely talented artistes who can act and sing. And more importantly, they speak fluent English. We wanted the Singaporean girl to be a fresh face, and held auditions in January 2013 to look for the female lead. Over 800 girls turned up to audition, and we chose Jae Liew because she is a talented actress and very natural in front of the camera. How did you find the 3 actors and what were your challenges in the casting process? We had short-listed suitable actors for the lead roles, and I surveyed my Twitter and Facebook followers to ask which actors they would prefer in the movie - Calvin and Alexander came out tops. So in fact, a lot of help for casting came from them! How is it like to encompass so many roles ( directing , acting , producing , writing ) ? Tell us more on the pleasantries and/or hardships to having so many jobs to fill ? Which role do you enjoy the most? I am actually pretty good at multi-tasking and thrive on the adrenaline of doing many things at one time. 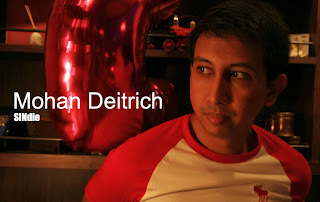 After being in front of the camera for many years, I just felt the urge to write and create some stories. I am extremely thankful and grateful for the opportunities that I was given when I was hosting and acting, but I am now at the stage of my life where I would like to be able to be actively involved in the creative process and make a difference to the projects I put my name on. I enjoy the creative roles the most, I hate the ones which require me to be organized or reply emails. How was working on this film compared to working on "Already Famous", what were the differences, especially since you have taken more of a directing role in this second film? 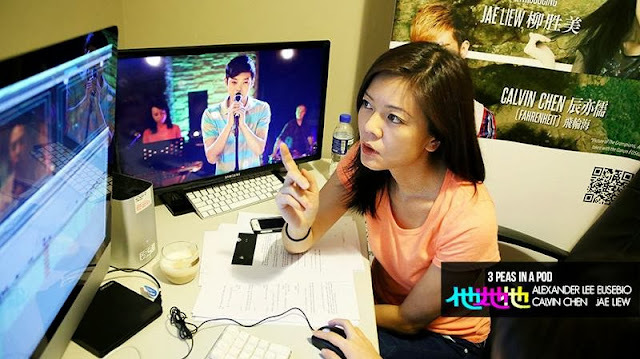 For Already Famous, I directed the movie as well as acted in the lead role of Ah Kiao as I had a very clear vision of how I wanted her character to be and we had a very small budget. It seemed the right decision at that time because people also liked to watch me do accents. 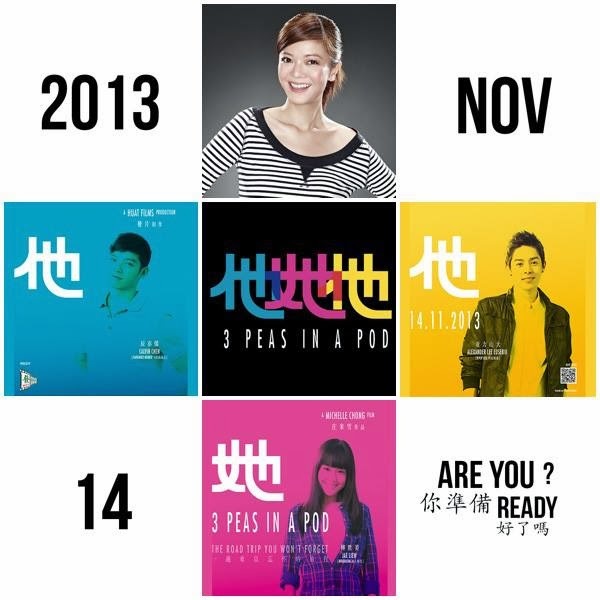 But for 3 Peas, the story tells the story of 3 University students and I am obviously too old to act as one. The difference is that I don't have to memorize any lines and I can look at the monitor as the camera is rolling instead of having to do a playback after every take, so in essence, I save half my filming time if I don't act. We had both Australian and Singaporean crew for the filming in Australia. I was very lucky to have a great crew who were professional and easy to work with. What were the biggest challenges of shooting in Australia? I must say that Australia is almost like the fourth Pea in 3 Peas In A Pod, as the locale and amazing scenery is very much part of the storyline. The biggest challenge was probably that the filming process was in fact an actual road trip for the cast and crew. Because we had such a large crew (sometimes up to 34), it was a logistical nightmare to take care of everyone in terms of transportation, food and rooming. There were times that drivers got lost and I had to wait for hours for my crew or actors at the location, and as you know time is money, so it's very stressful as you watch the clock tick by. I am quite amazed and grateful that we managed to complete the filming in less than 20 days. Your cameos are like Stan Lee ( Marvel comic movies ) pleasantly surprising and comedic to watch, what can the audience expect in terms of your appearances? That it will be short and sweet. Haha. You mentioned in a few interviews with other media that you have many stories to tell (for films in general). What kind of themes or stories captivate you as a director/writer? Thank you Michelle for taking the time out with the interview and all the best when the film opens on 14th November 2013. Avid Flowrider, Muay thai trainee, movie buff, volunteer (Riding with Disabled Singapore) , literary activist, Mohan was a Lasalle Puttnam School of Film graduate. Always enjoyed film theory and spends time reading about film theory. Interested to pen down his thoughts and share it with the masses , he has joined SINdie to expand his knowledge on film and hopes to improve his writing everyday.